We are so happy that you are visiting our site. Please link here --> Services to read about the home healthcare services we offer to our community. We also offer the Alert 1 Medical Alert System to provide you the security and protection that you need when living alone. 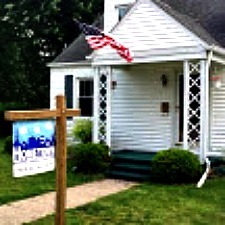 Read about this service we provide by clicking here --> Alert 1. We also believe that pets can offer the comfort and friendship that we all need from time to time. Read here about our community outreach program --> Paws for People! Please contact us at 765-674-7177 for our Gas City office or 765-289-7740 for our Muncie location to speak to a home healthcare representative with Hometown Home Healthcare. 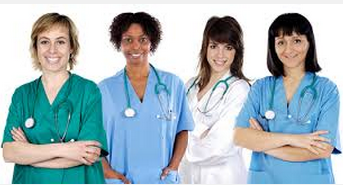 Or you can e-mail us any questions that you may have concerning your needs for home healthcare at Hometownhh@yahoo.com. 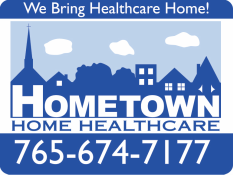 Our contact page can be found by linking here --> contact Hometown Home Healthcare. We hope you visit our site many times in the future as we are always adding or making changes. Please bookmark our site or contact us to give us your opinions on how we can make this site better for you!